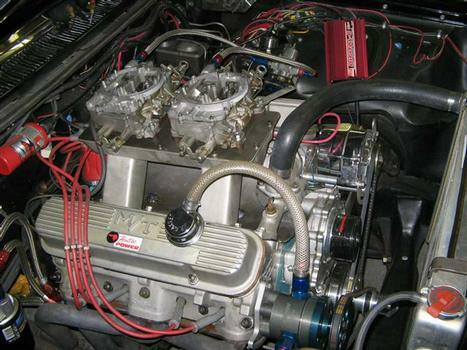 Ran C-stock under the Arapaho name back in the mid 60's..
508 cubic inches of Pontiac power... IAII block,Crower billet crank,Ross custom pistons,Eagle H-beam rods,KRE d-port heads & Wenzler T-ram.. Built by Jack Gaydosh. New bullet with 412 cfm Tiger heads & Gutsram intake. Worth a 200+ HP gain !! 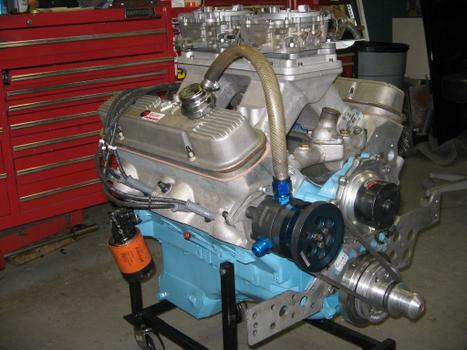 Stroker is next....541 cubic inches .. Awesome car, thanks for posting it! Love the car. Great job! My first car was a 1960 Ventura. That was in 1967. A giant black and chrome beheamouth. Could not wait to get rid of it and get a 67 Chevelle SS. But today given the chance I would snap up a beautiful 60 Pontiac in a second,I was too young then to see the real beauty that I had in my hands. Sadly when I was done with my Ventura and several other now clasic cars, including a 57 Chevy Belair, it went to the scrap heap. May the Hot Rod gods take pitty on a old man. 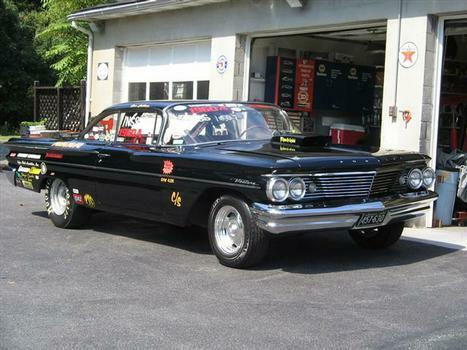 Might be noted the 60 now runs 10.005 @ 135.40 MPH in 1/4 mile...6.40's @ 108 MPH in the 1/8th with a 1.41 60'...!!! Beautiful 60 Pontiac! The fastest 60 I have ever seen. Super nice car!! Awesome machine and lightning fast. Pontiac Forever. 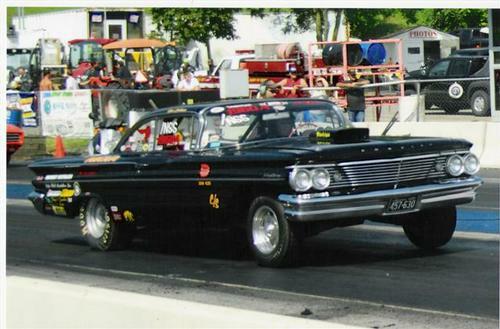 I had a '60 Ventura which was a drag racer. Awesome machine and lightning fast! 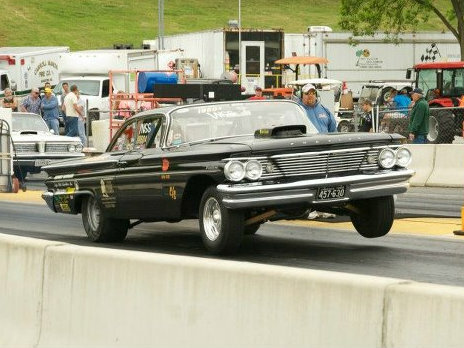 Thank you for praises...not many 60's on drag strip ! The part I like, 4100 lbs and 10.005. You have made this Indian run! Nice job. Jim Wangers would be proud. Don't think (?) 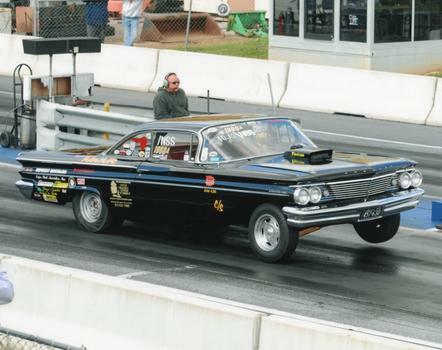 this car was ever Maroon...I worked on it at Thayer's Sinclair in Annandale,VA in the mid sixties...it was black and raced by Gene who lived in Alexandria at the time.. Have no idea of his whereabouts prior. There was another 60 owned by Les Harris and was Maroon and ran CS/A....named Lil' Cloud.. I love this car, I watch it every year at the Nationals in Norwalk. Norwalk is the "Show" for Pontiacs. I plan to be there again..
Just love these classic drag cars! I´m impressed by your et on the track. 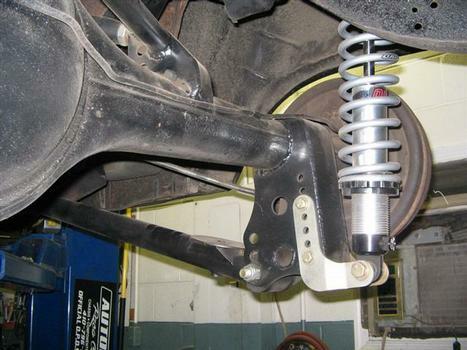 Hoping to get more consistency my new transbrake this year also. Nice Ventura..